I’ve wanted to create this post for awhile and finally got around to it. Here is my collection of shoes from B.A.I.T Footwear. As you can see I have a habit of purchasing the same pair of shoes in multiple colours and now I’ve started I feel like I have to keep it up for my collection! One of these styles I even have in three versions as I couldn’t resist them when the sparkly colours came out. I wish I could buy the gold, the red and the cream version but that would be rather excessive! 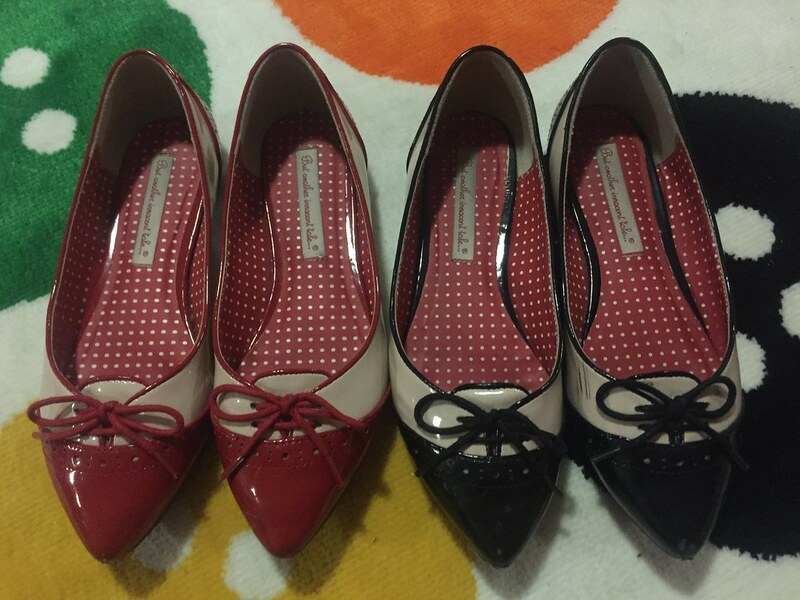 My experience with B.A.I.T Footwear started when I saw the red and white pointed flats on Modcloth. 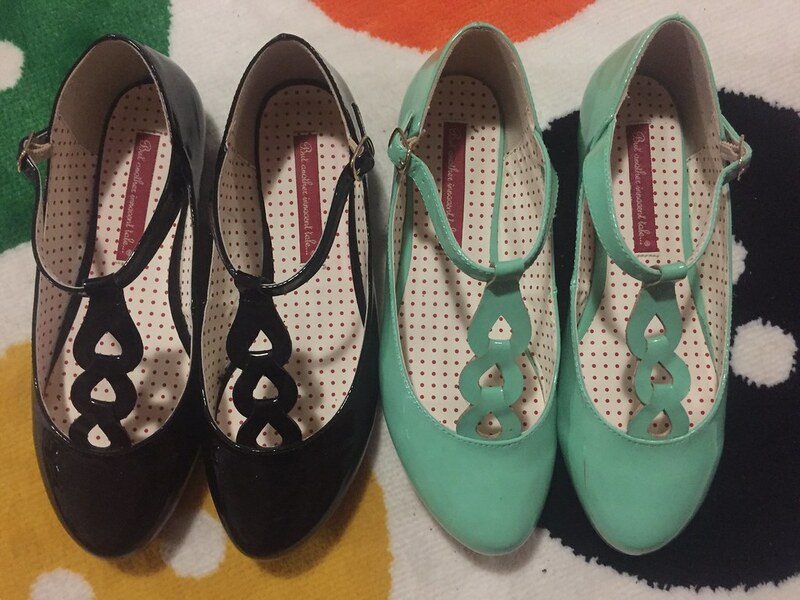 I admired them for ages and eventually bought them in one of the amazing Modcloth sales at only $35. Ever since then I have been in love with the brand. 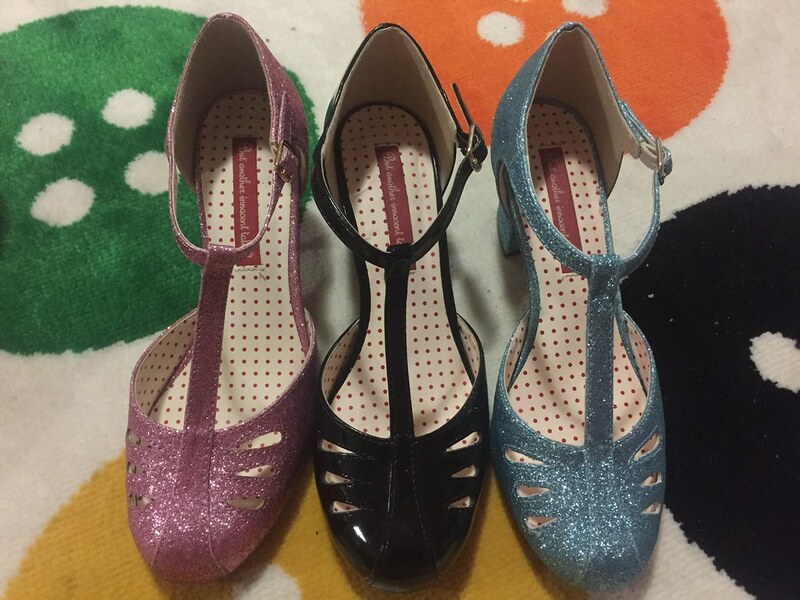 The shoes are so adorable, vintage inspired and the perfect match for my style of outfits. There are so many varieties of styles, although I don’t like all of them, that they are very popular. The main benefit is the comfort and this certainly can be hard to find with a shoe. The most well known styles from B.A.I.T Footwear appear to be the Ida and the Ione. I never actually owned the Ida as there have always been others I like better. I used to have two pairs of the Ione but ended up selling both as they were half a size too small. It would be great to add them to my collection again. The only downside to the brand is the postage costs when purchasing direct from the website. In the absence of many stockists in Australia (and the ones that do exist have a very limited range and are more expensive per item), almost all of my purchases have been direct. Usually my desires for the shoes means I pay it anyway but it certainly isn’t ideal. Overall I highly recommend B.A.I.T Footwear- you will not be disappointed. Are you a fan of B.A.I.T Footwear? What is your experience with the brand? This entry was posted in BAIT Footwear. Bookmark the permalink. I have never before heard of B.A.I.T. Footwear, but I love the retro/vintage aesthetics they produce! Such a gorgeous collection, Imogen! What a wonderful shoe collection! Such a cute shoe colledtion. I've never heard about the brand before, but the styles you have look great! you have quite collection of shoes! Such unique, fun shoes! You've got quite the collection! Wow you have a fabulous collection. They're all so cute it's hard to pick a favorite, but I have to say I really like the mint green ones! You have such a wonderful collection! I've always admired your shoes. They have such beauty and I'm deeply attracted to their style. Wowie zowie this is some collection!! Love the retro aesthetic. Cool brand a friend of mine would love it. Oooooo, pretty collection of shoes! Love the mint green ones and the sparkly Pink. You have so many shoes to go with so many different outfits. Happy Valentine's Day, my sweet friend. These all look so cute! Pretty collection. What gorgeous shoes! Love all the beautiful color and styles! Great collection! Fun to see them all together. I prefer flat, doll shoes though I'm petite because they're comfy. They've got wonderful designs too. What a collection. They're all so beautiful. I love the sparkly blue ones! Hello, dear Imogen! I was off for some weeks, and now I am back – when I travel, I don't use internet much. I looove shoes and I am in love with B.A.I.T. through you! I will confess to you, I had one pair similar to one you showed once, and I regretted then, because I donate it. Now I am again looking for a similar one, and need to purchase a B.A.I.T. one then! 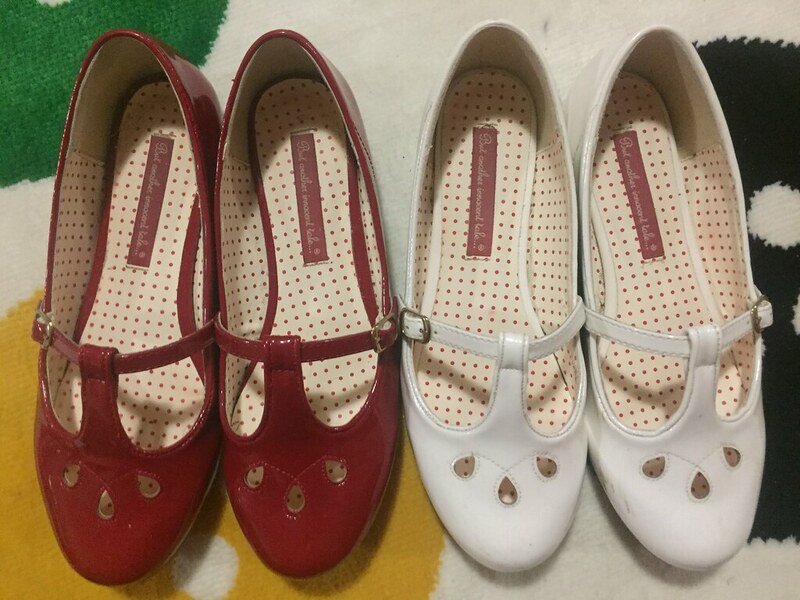 I love that you have the same style in different colors – when we like a pair of shoes, why not doing so? Well done! Your style and shoes are always so beautiful! I hope you have a beautiful weekend! Wow. Such cute shoes you have. Love your collection! I love BAITs. I haven't counted how many I have but I mostly have Idas and Iones. I have found that buying 1/2 a size too big is perfect for me but gosh… it sounds like that isn't typical with other styles? It's too bad these shoes are more easily accessible in stores to try on before you buy.